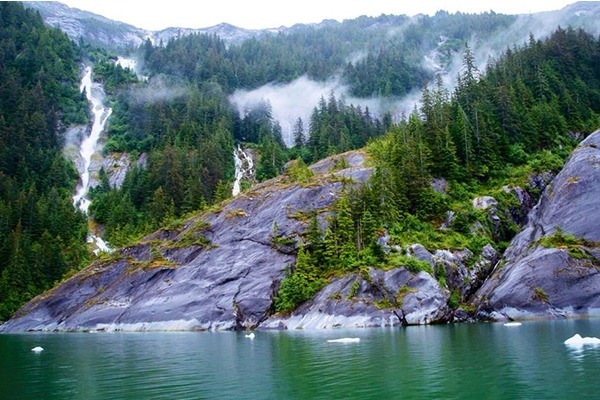 Come with us on a fascinating journey through one of the Inside Passage’s best kept secrets! Of the many glaciers that the famous naturalist John Muir explored, he claimed the LeConte Glacier was his favorite. 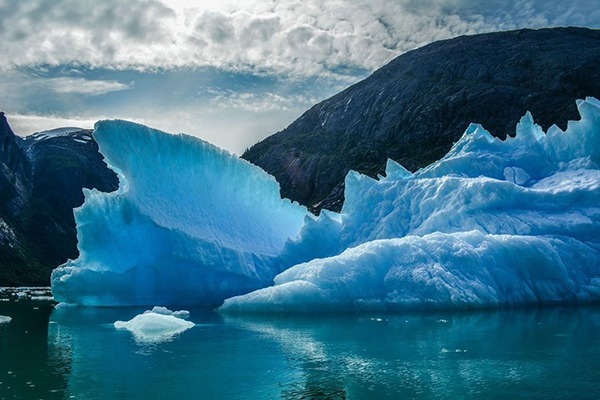 You won’t believe your eyes or ears when you see the stunning blue icebergs and hear the thunder of thousand year old ice crashing into the sea. 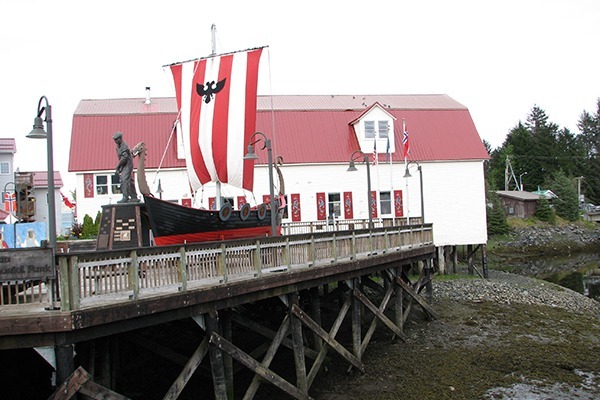 Watch the local wildlife along the way and visit a quaint Norwegian fishing village. Small Groups: While we have the capability to accommodate larger groups, we feel that wildlife viewing & photography along with real wilderness surroundings are best experienced by very small groups. Being part of a large tour group doesn’t lend itself to the up close & personal experience we strive to provide our guest. You can expect us to recognise your individual interests, limitations & expectations. 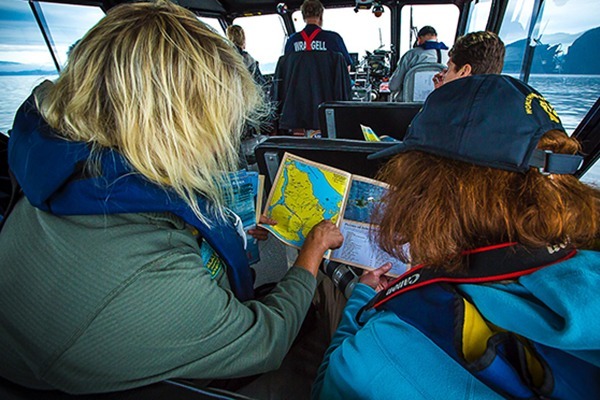 Training and Experience: Our mission is to provide you with the highest quality professional guides and captains. We can offer you Wrangell’s only state certified guides, certified naturalist, & Alaska Cultural host. 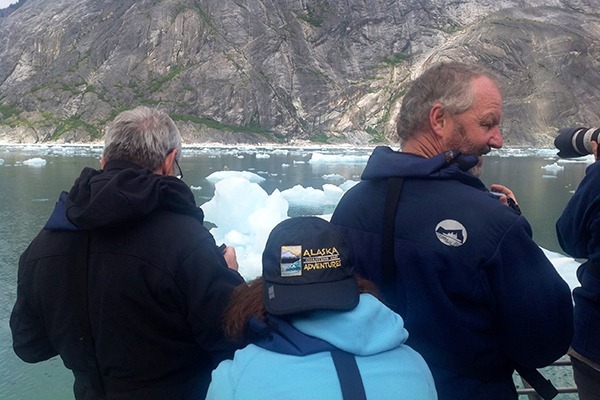 At Alaska Charters and Adventures, we will provide you high quality guides and captains. No matter which tour you book, you will follow a trained, mature and professional guide. 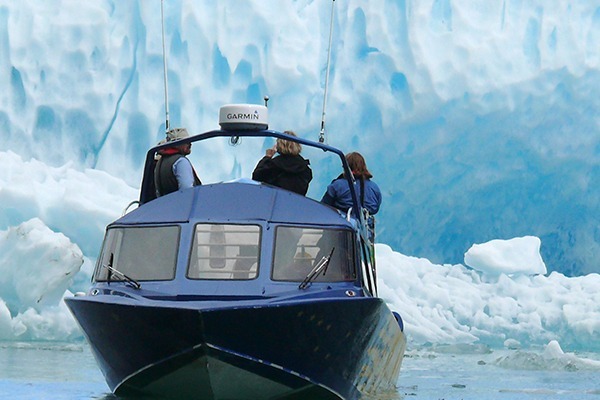 Trip Length: Alaska Charters and Adventures is unique in that we prefer to offer you FULL DAY excursions customized for your interests and abilities. This means you can linger for that perfect photo and enjoy plenty of opportunities to get out and take in the scenery. Why rush? Take time to optimize wildlife viewing and lightning. 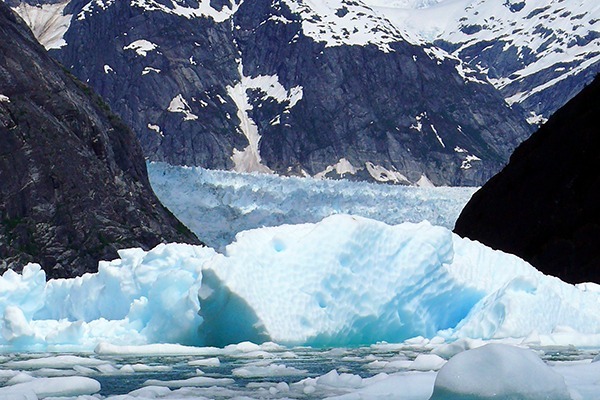 More time is more opportunity to experience Alaska’s remarkable nature. Depending on the tides. We will confirm your departure time. For more information about this tour, special pricing, accommodations or help with planning your trip please Call us at (888) 993-2750 or Contact Us . Get acquainted with your crew at our office, we’ll make sure you have everything you need for the day. 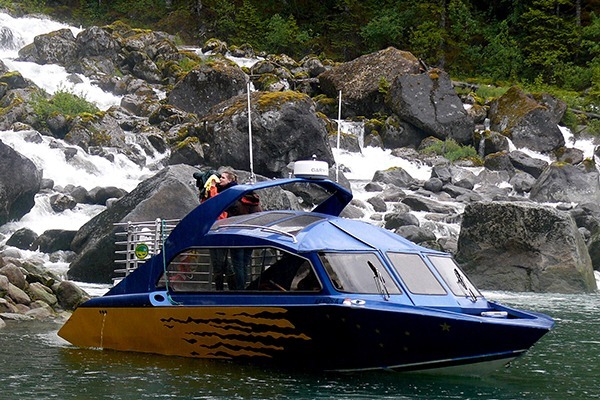 Sit back and relax on our boat while we cruise across the famous delta of the Stikine River. This is a great time to watch for birds like eagles, murrelets and shorebirds. Catch a glimpse of the spectacular coastal mountains along the way. Before you know it we are entering the fjord where LeConte Glacier resides. It’s surrounded by snowcapped mountains and adorned with unbelievable waterfalls. 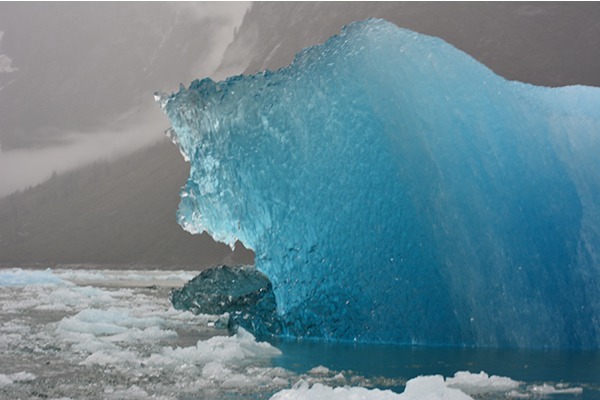 This glacier is extremely active, producing a massive amount of icebergs. 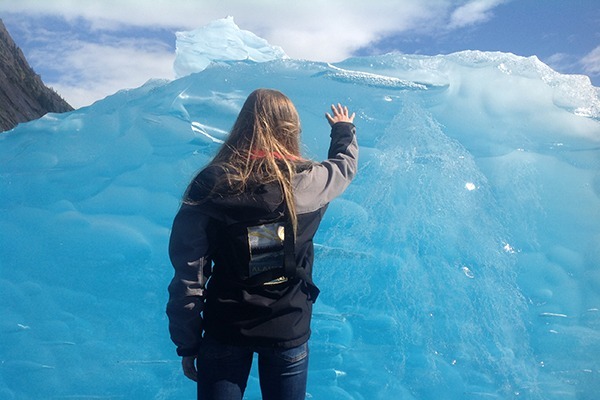 Enjoy the complex maze-like passage through the stunning ice filled fjord. 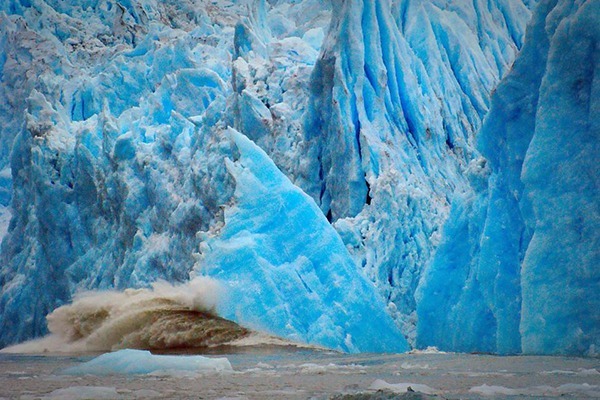 Anticipate the powerful glacier calving events. Make sure to capture it with your camera! We will linger near groups of seals as we drift out of the fjord (LeConte is a seal nursery). Having a small tour group allows us to play in the ice, touch a ‘berg and hang out with the whales. The best part about this tour is just enjoying the day at our own pace. After we leave the glacier we’ll spend some time in Petersburg, a quaint fishing village. Its roots run deep as it was founded more than 100 years ago by Norwegian fishermen. We will round out the day with a scenic cruise home through the renowned Wrangell Narrows. David Malanga: Loved it! We had a great time! It was great to touch the icebergs and come so close to the glacier! Joanne Wertjestz: Great!! Exceeded our expectations (which were very high). Bert Delaney: Great Scenery, great commentating by the guides, really enjoyed the tour! Lori V.W. : Leconte glacier was an outstanding day! Thanks for taking such good care of us while we were in Wrangell. 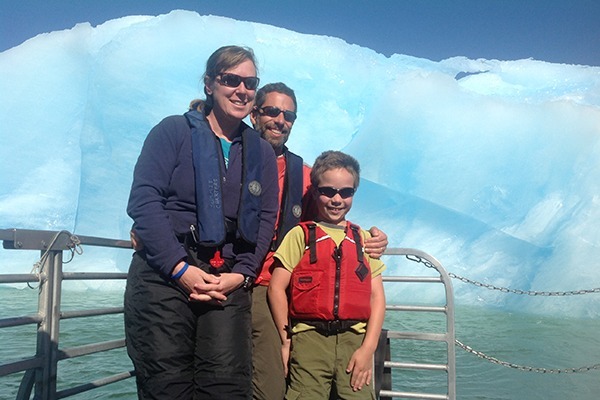 Lon & Kendra Peterson: Thanks for the fabulous trip to Leconte Glacier. It was absolutely breathtaking!